Si desea una copia de esta carta en español, por favor visite la oficina de Aikin. Quick Tip is a support system that allows students to communicate with school administrators. While the district already has many programs to help students deal with challenges such as bullying behaviors, stress, peer pressure, and family problems, Quick Tip helps break the code of silence often experienced by students because it allows them to report concerns to administrators anonymously. SchoolMessenger Quick Tip app is available for both iOS (iTunes App Store) and Android devices (Google Play). Download SchoolMessenger Quick Tip App. When launching the app for the first time, you will be prompted to enter the school district code. The school district code is paristx. IMPORTANT NOTE: This is not a crisis line. In cases of emergency, the site will direct students to call 911! Step 1: Your cell phone number must be on file at your child’s school. For help information, text “HELP” to 67587. 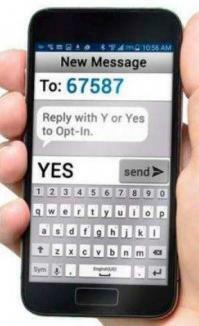 To opt-out at any time, text “STOP” to 67587. Message & data rates may apply. Parent Notification - Text Msg. Svc. Click here to view available job listings. 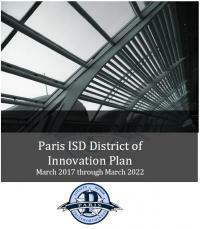 Please refer any problems or suggestions for the Paris ISD website to district webmaster. The mission of the Paris ISD is to provide a quality education to a diverse student population, enabling each to achieve full potential and become a productive, responsible citizen.